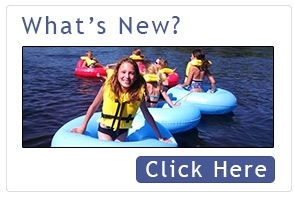 Welcome To Sandy Shores Tubing! 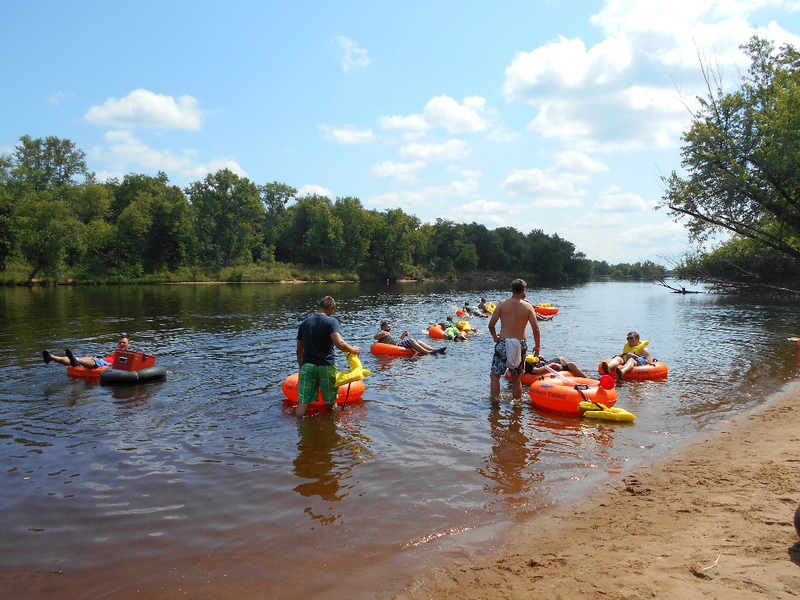 Now is your chance to kick back and enjoy the calm waters, secluded beaches, and magnificent scenery the Wisconsin River has to offer. 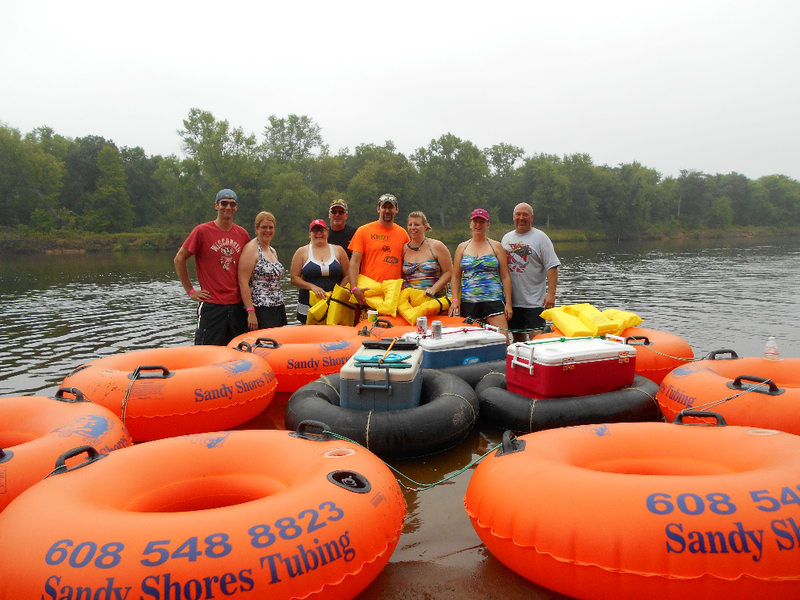 All of our Wisconsin River tubing adventures include professional tubes, U.S. Coast Guard approved life preservers, tube ties, and a shuttle service. 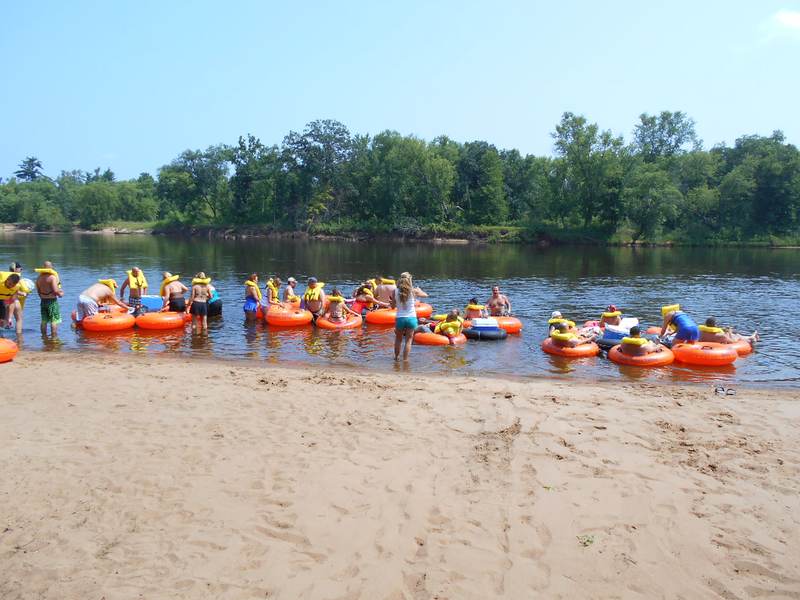 You can enjoy this three mile float which takes approximately 2-3 hours or spend more time on the sandy shores and in the sizzling sun to make a day of it. 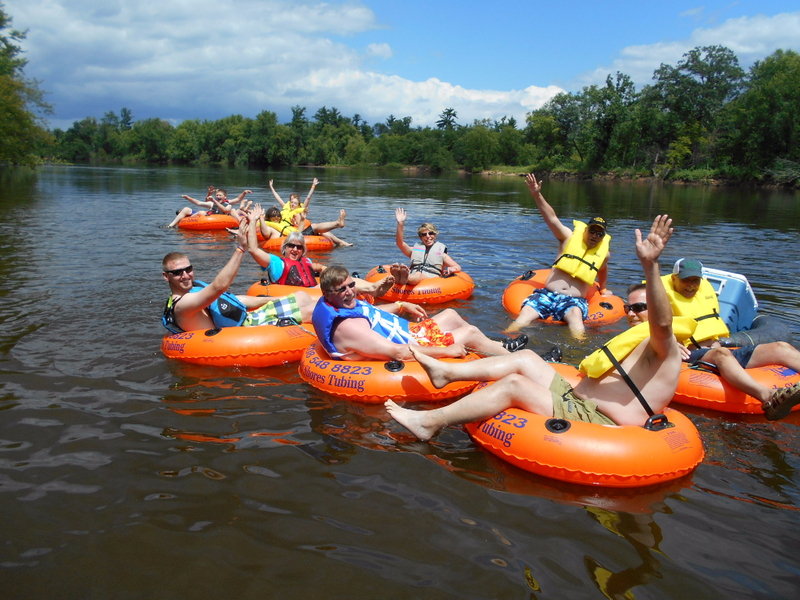 These are self-guided trips on a flat water river. 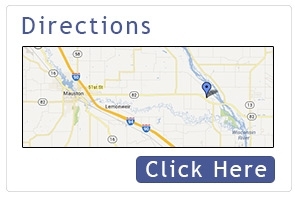 We are located 8 miles east of Mauston and a short drive from Wisconsin Dells. 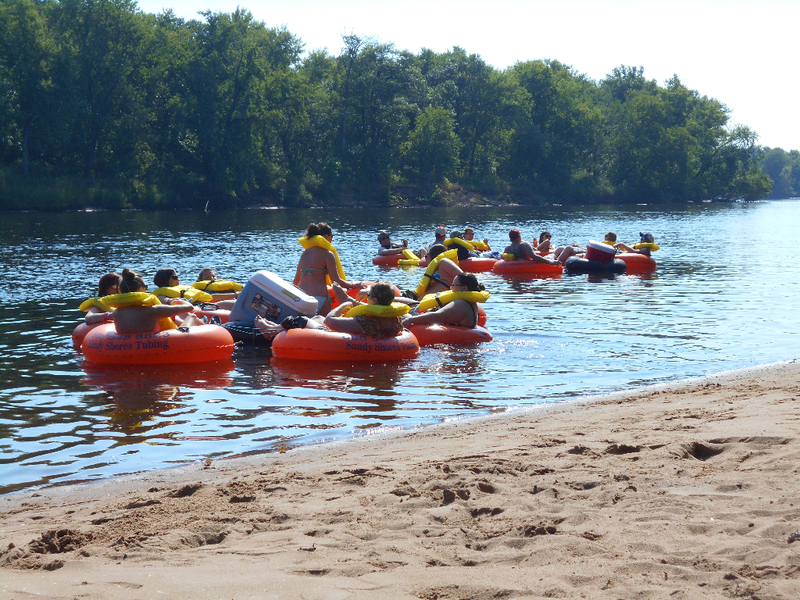 Sandy Shores Tubing offers a river tubing adventure for all types of events including: class reunions, family outings, business team building, church groups, bachelor and bachelorette parties or anyone just looking for a day in the sun. 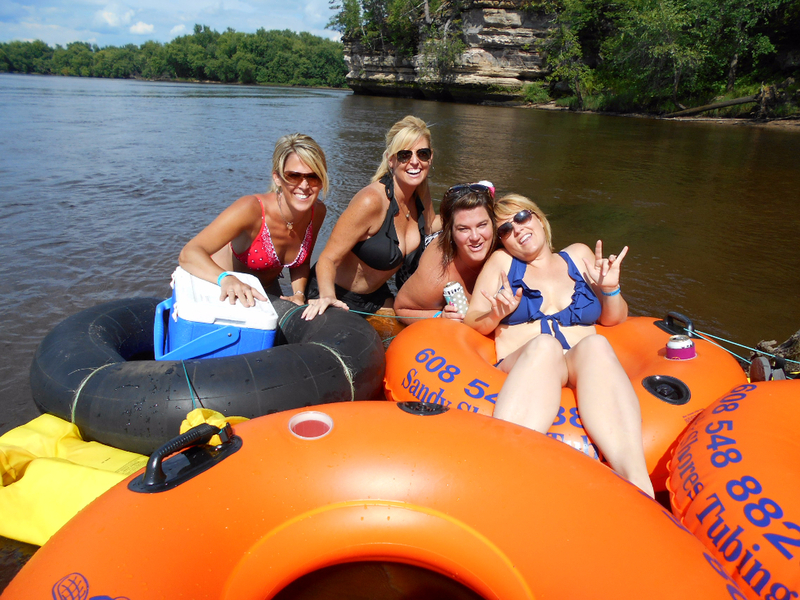 On your float, you will pass under the Highway 82 bridge, pass numerous sandbars and beaches, and it will end with a magnificent view of Cliff House Rock. 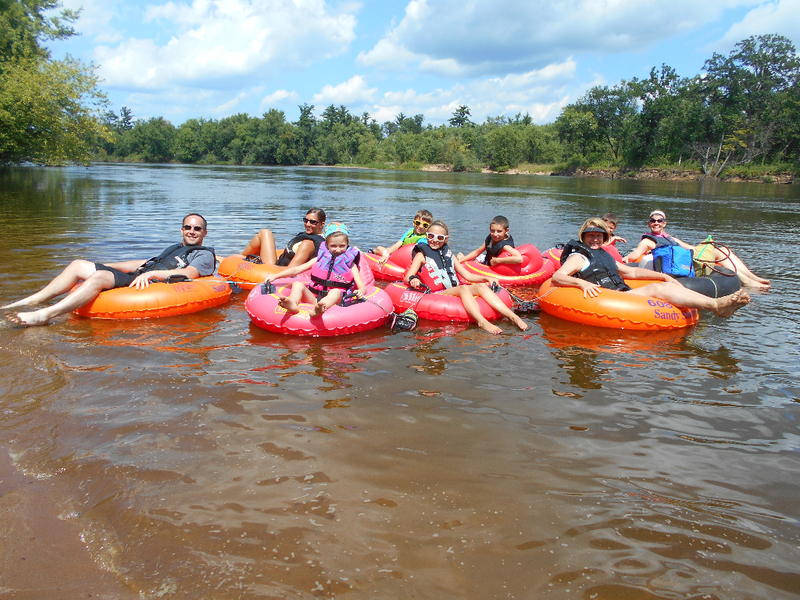 Camping, RV sites, and Lodging: Because Sandy Shores Tubing only offers a Wisconsin River tubing service, we have listed local businesses, on our area attractions page, that can help accommodate your stay. 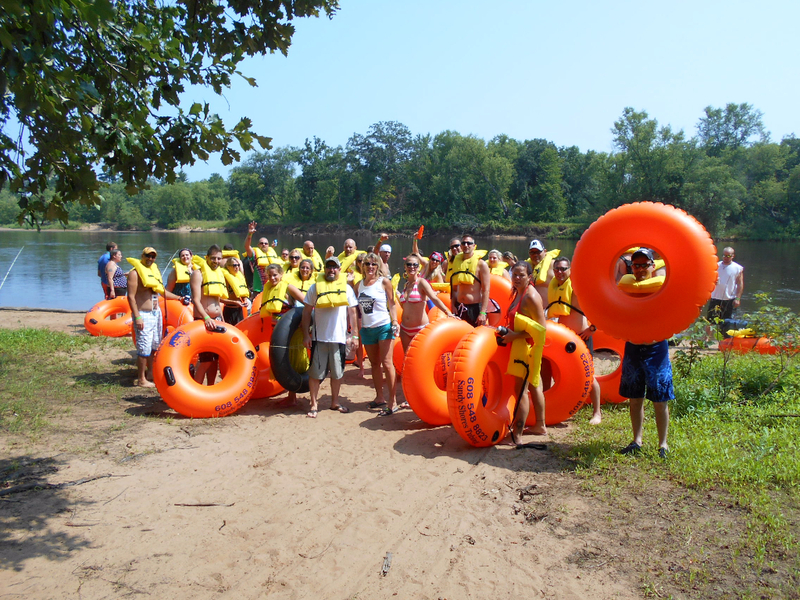 Our goal is to coordinate a quality service to our customers with a safe and memorable outdoor experience.